Extrusion Gear Pump also called EGP. The Extrusion Gear Pumps are a rotary volumetric pump utilizing precision ground gears to provide precise metering and constant pressure. 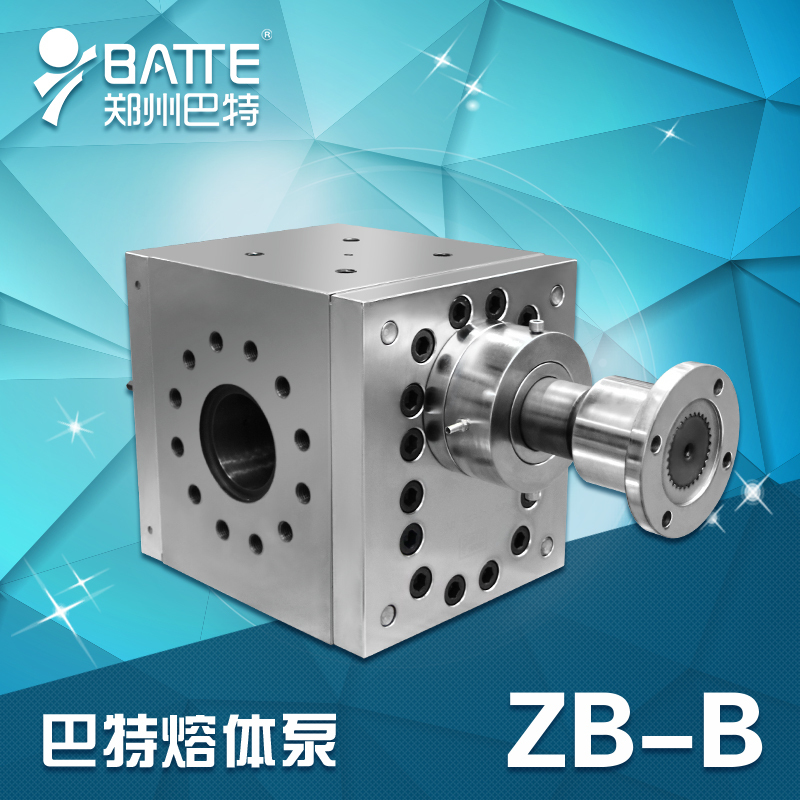 Batte combines over fifty years of design, engineering and manufacturing in the production of Extrusion Gear Pump. The EGP is a rotary volumetric pump utilizing precision ground gears to provide precise metering and constant pressure. Precise displacement ensures accurate output while providing lower shear stress, lower energy consumption, lower processing temperatures and higher output rates. The EGP is capable of processing highly filled materials, fractional melts, recycled materials, highly viscous materials and can operate at pressures up to 5,000 psi (4,000 ΔP). Batte also supplies gear pumps for chemical, injection and additive applications.